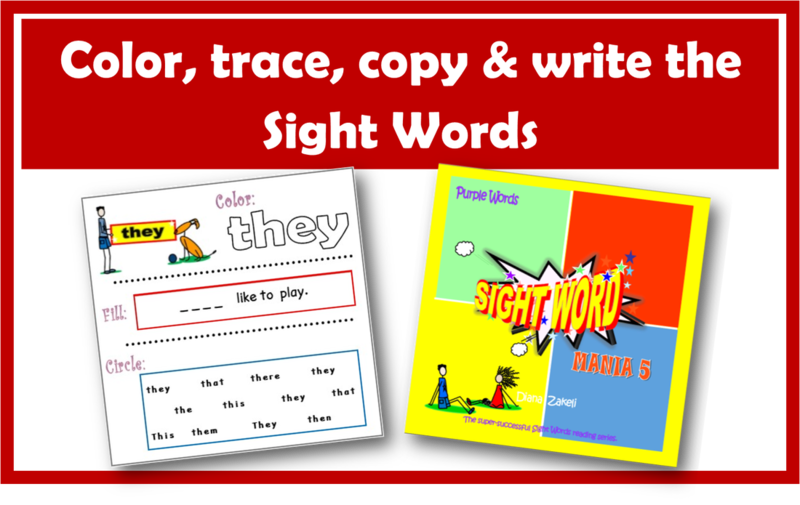 Twelve new color-coded Sight Words are introduced at the front of each Sight Word Mania book. Games are the most enjoyable and productive way of learning the Sight Words. Our gallery of board games help your kiddos to learn the new words in less time than you think! 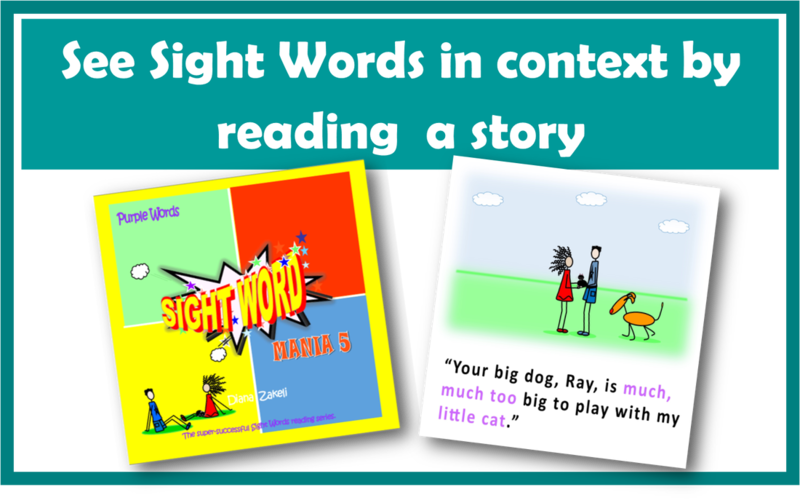 Each story is made up of the 12 new Sight Words and also some words from the preceding stories. The new words are colored making them instantly noticeable. Reinforce word recognition with the writing, tracing and copying activities found in the Worksheets Section of the story book. It's that easy! Kids love it! Your little one could be reading Sight Words even before kindergarten. 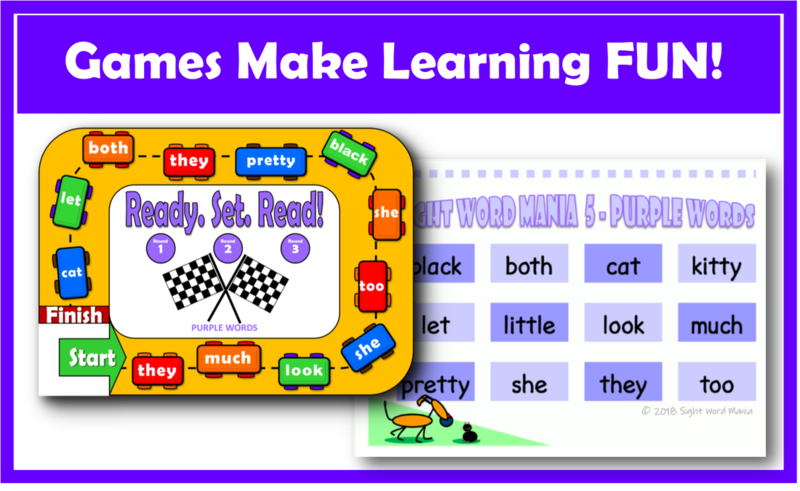 Sight Word Mania books are available on Amazon.